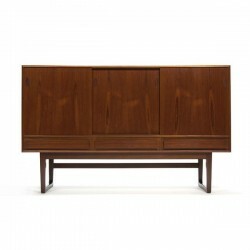 Beautifully executed high sideboard in teak. Designed in the sixties in Denmark. 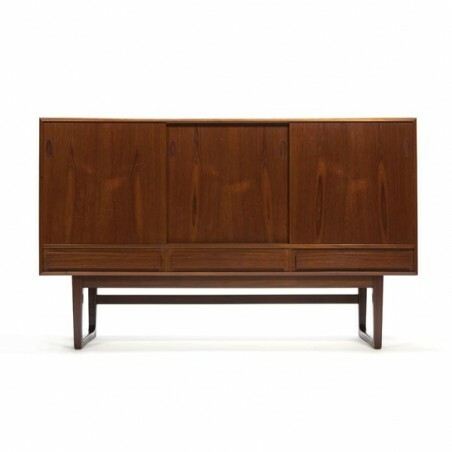 The cabinet has a specially shaped base and a sleek design. 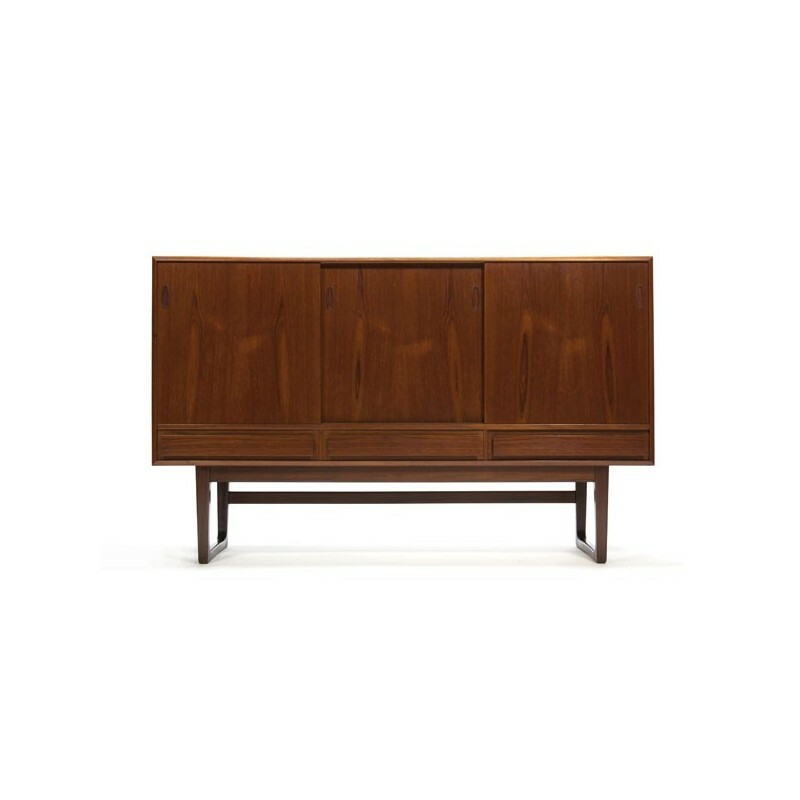 There are three drawers with above three slidingdoors, behind that is plenty of storage space and a small bar area. The condition is good considering the age, there is a small scratch on the right door visible and one on the top, see the detail photos. The dimension is 180 cm L / 45 cm W / 111 cm H.